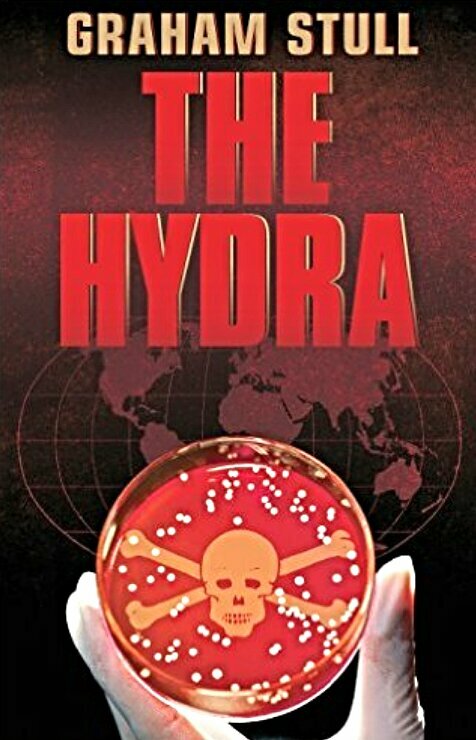 Stull labels his debut novel, The Hydra, a political thriller but it is much more. In 2020, Brian Matterosi, is on trial at the International Criminal Court in The Hague for crimes against humanity. He stands accused of developing a virus that has caused infertility in a significant number of the world’s population, particularly in the developing nations, and colossal number of deaths attributed to the direct infection with the viral infertility syndrome virus. His story is told from his own point of view going back to his past describing his formative years and how he became a scientist, alongside his current situation as he faces a trial on the world stage. This defensive attorney, Art Blume and prosecuting attorney, Leeton Kgabu are the other two voices narrating the story of the legal battle he faces. The courtroom proceedings present the arguments for and against Matterosi actions and you soon find yourself swept up in the debate of the abuse of human rights, overpopulation and world economics, however there’s also a twist that will intrigue. This thriller has certainly been well thought out and captures the imagination from a biological view point as well as indulging our curiosity of a dystopian world. The charges against Matterosi become hard to back as he is a sympathetic and likeable character, even though his actions have taken away the choice and human rights of a vast population. A truly engaging thriller that provokes much thought and self-awareness within the reader, which ought not to be missed by political and medical thriller fans in my opinion. This book is available to read for free to Kindle Unlimited subscribers.